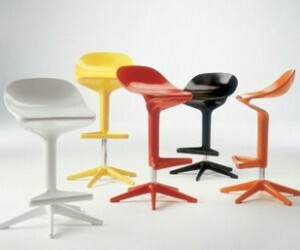 An original stool that is equally functional. 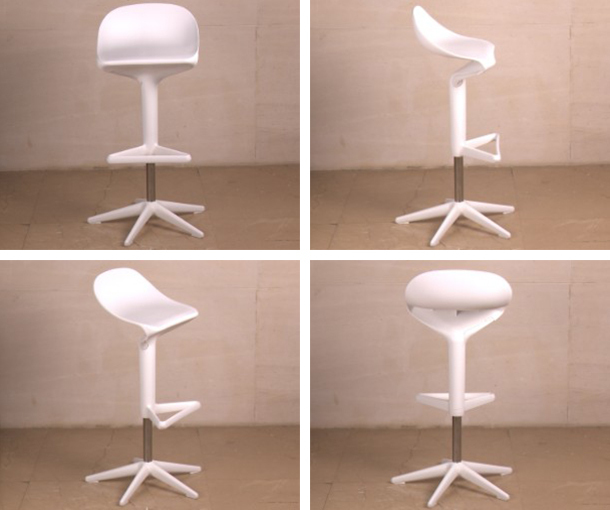 The innovation of this stool consists mainly in attaching the seat to a central support with a specially reinforced curve that guarantees flexibility and comfort. Furthermore, because of a sophisticated design solution, the gas lift pump adjusts to heights between 22 1/3 and 30 inches and is perfectly inserted into the stern. 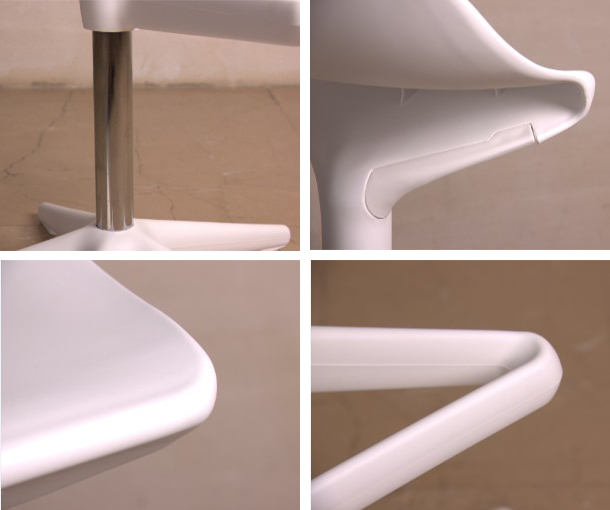 In the same ingenious fashion, the handle that regulates this mechanism is perfectly concealed inside the seat. 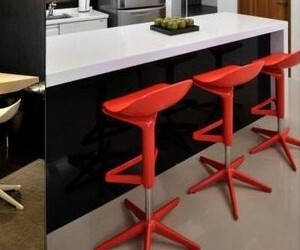 The stool lends itself to any surrounding: kitchens, bars and restaurants. 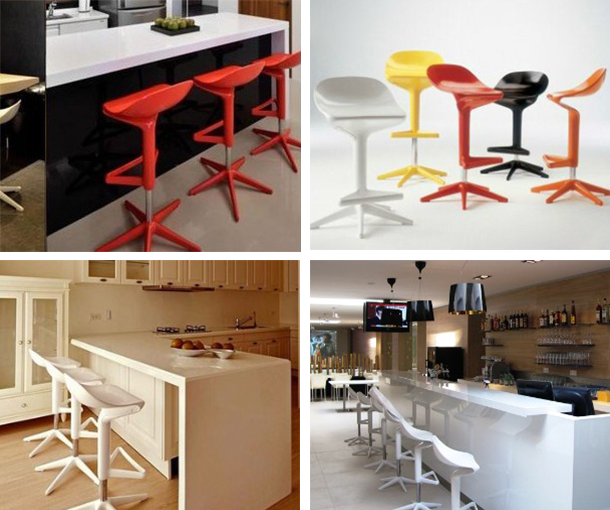 Looking for ideal Bar Stool with PP Seat Manufacturer & supplier ? We have a wide selection at great prices to help you get creative. 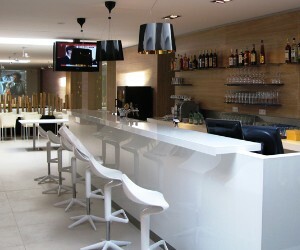 All the Stainless Steel Leg with Height Adjustable Bar Stool are quality guaranteed. 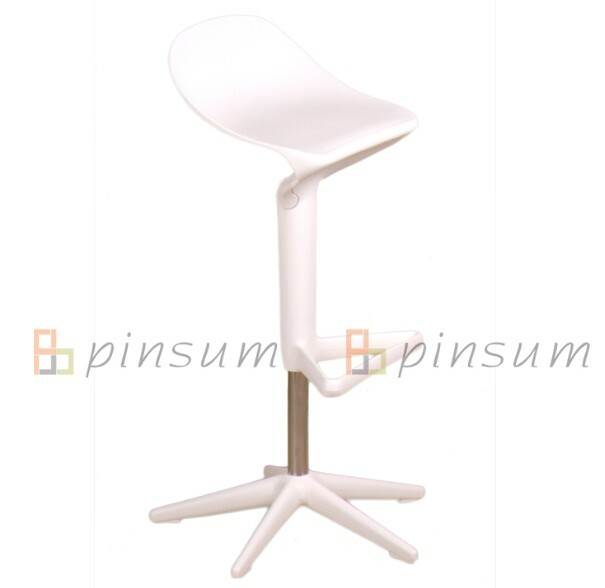 We are China Origin Factory of Modern Plastic Bar Stool. If you have any question, please feel free to contact us.